Creating spaces for women to gather, move, create, and embody their sacred soul. What is the call of your sacred soul? Through movement we remember that our essence is wise, wild, and free. Qoya is a simple movement practice that welcomes you back home into your body. 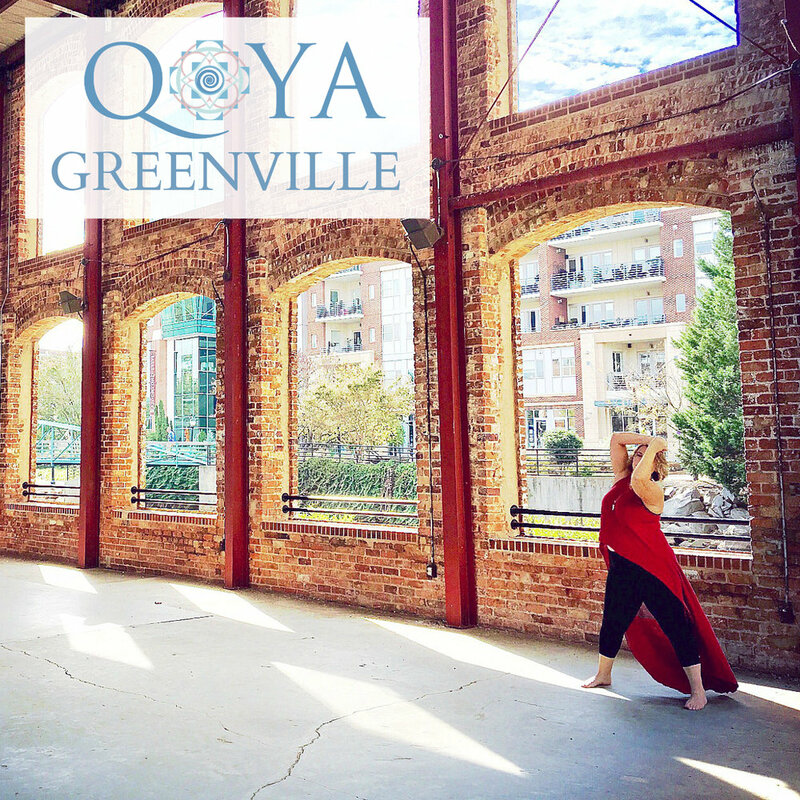 Incorporating yoga, free dance, and feminine/sensual movement, Qoya is a practice of letting go of caring what it looks like and focusing on how it feels instead. There are no levels in Qoya, come to Qoya as you are, leave MORE of who you are! Gathering in community expands our capacity to know ourselves, helps us to trust in our universal connectedness, and gives us an opportunity to both give from our hearts, and practice the art of receiving. Besides, it's more fun to grow, learn, and play with other like hearted women, we don't have to do this alone. Ritual and ceremony are a simple and profound way to dedicate time and energy for reverence to the divine in ourselves, in each other, and in the world. Ritual is the art of setting and holding sacred space, from creating the the tone/intention for your day, or marking the important transitions of life, birth, marriage, death, etc. Join us to add more intentional devotion of the divine in your own daily life, your home, or to host a ceremony or ritual in someone's honor. Read More → NEW OFFERINGS COMING SOON! 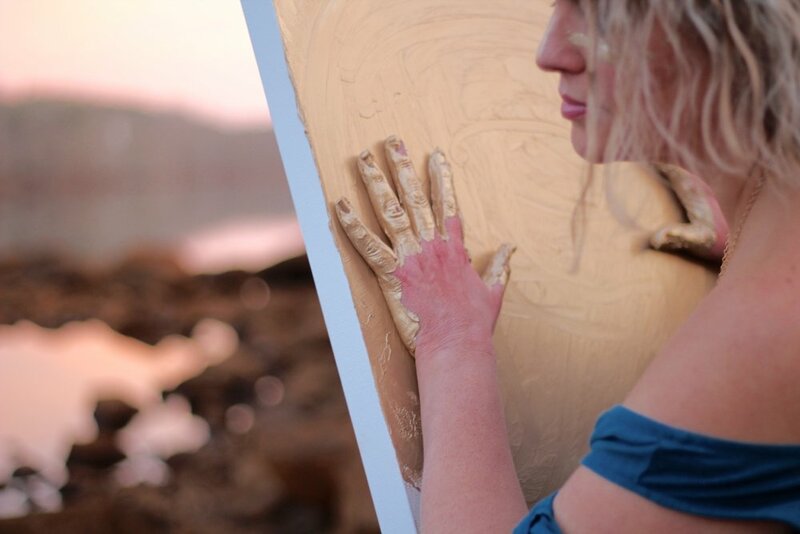 The act of creating art offers us insight into how we relate to the creation process as a whole. What if you could get your hands messy, and create from your feelings, your heart, and your intuition, instead of worrying about what it looks like to others. What if you could claim your birthright as an artist, without needing approval of others? Come create, and revel in the dance of spirit into matter. I am a Creator. I co-create with the Divine in all that I do. I am able to bring Spirit into matter, because I am connected to all that is. Deep Dive Creativity Self-Exploration Program Coming Soon! Join us for our very special events, workshops, community gatherings, retreats, and classes! 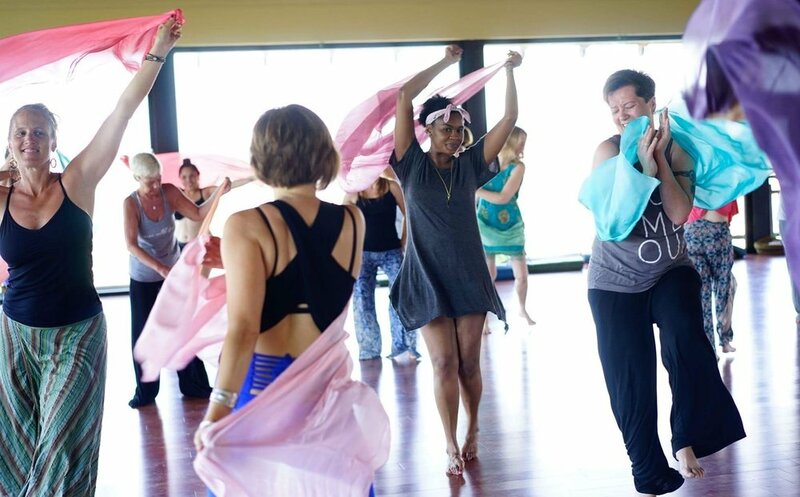 From weekly Qoya classes, to family dance parties, to weeklong creativity retreats, we always have something to nourish your heart and sacred soul! We can't wait to dance, create, and be in community with you! Every weekly class is posted as an event on our Facebook page. If you want to be added to the event page for each class, friend Sara Ballard on Facebook, and we'll add you to the invites! It's also a great place to see the most up to date info for local (Greenville, SC) events. Join our local Meetup.com group to participate in our twice monthly gatherings, social activities, and Qoya classes. It's our desire to help the women of Greenville become engaged in personal and community growth, for the betterment of us all. Come connect with other incredible women in the upstate, as we all live a life that is wise, wild, and free! Intrigued by the idea that through movement we remember that our essence is wise, wild, and free? Do you feel called to learn more, or perhaps dive into to the journey that is becoming a Qoya teacher and sharing it with your community? Follow this link to the official Qoya website.